So I have this frame and I change out the contents for the seasons and I just love it. I picked it up for like $1 at an Aaron Brothers on their ultimate reject sale table and I loved it! It sits on my entry table all year round. 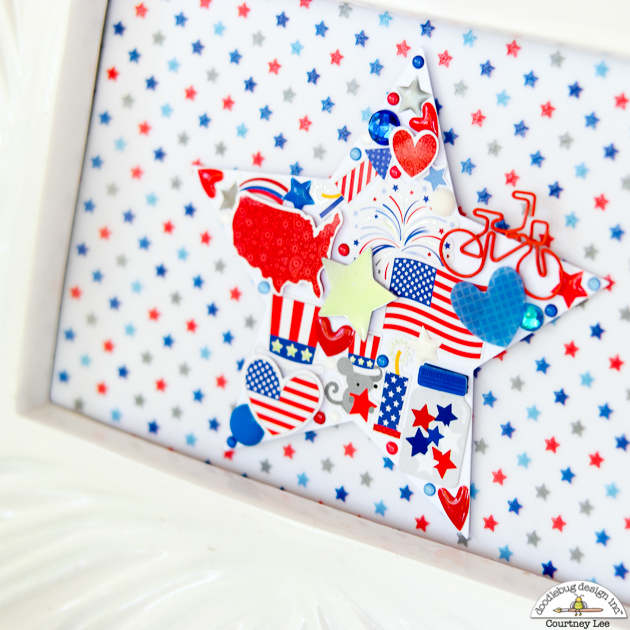 :) Court from Court's Crafts here with this cute 4th of July home decor piece! 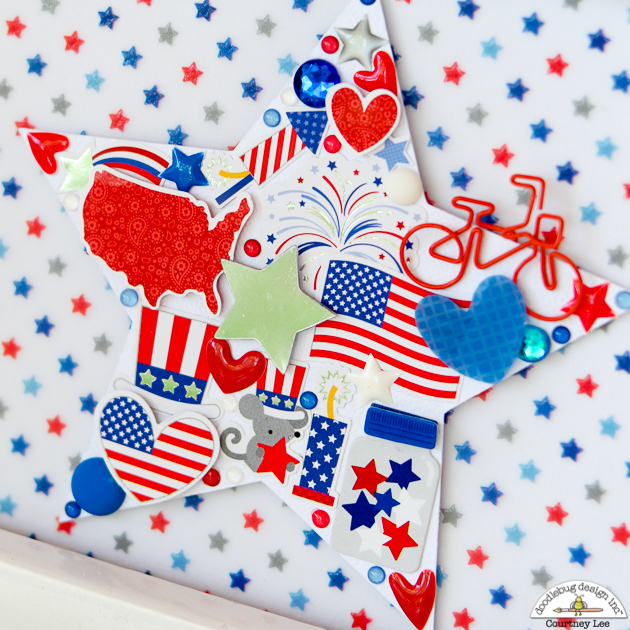 I really wanted to pack as many of these cute embellishments onto this star as possible. The mini icons made that so fun! The shape sprinkles are always amazing. 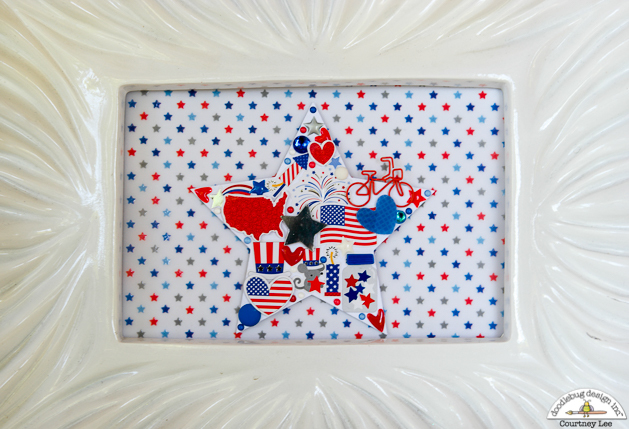 I put quite a few of those stars and hearts on here. I love how even the firework (top left) has a little foiled burst of flame at the back. 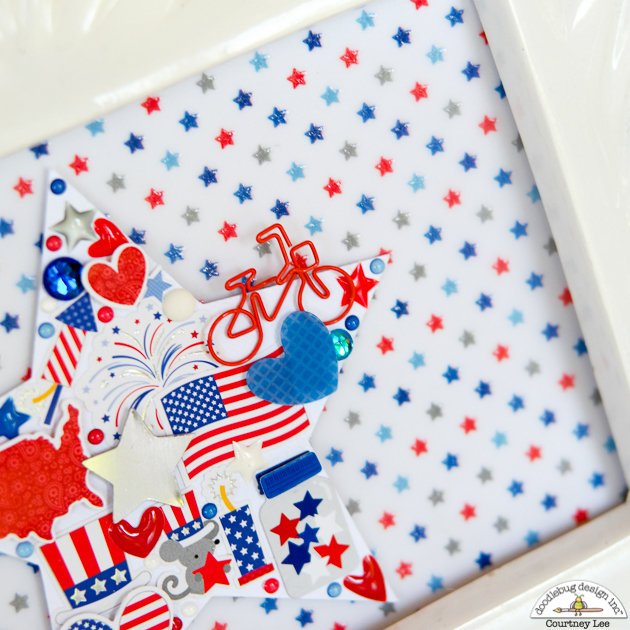 Doodlebug's attention to detail is second to none. Of course by now you should know how obsessed with cute clips I am. These bicycles with the baskets on the front - LOVE!!!!! So I just had to get one of those in my display as well. 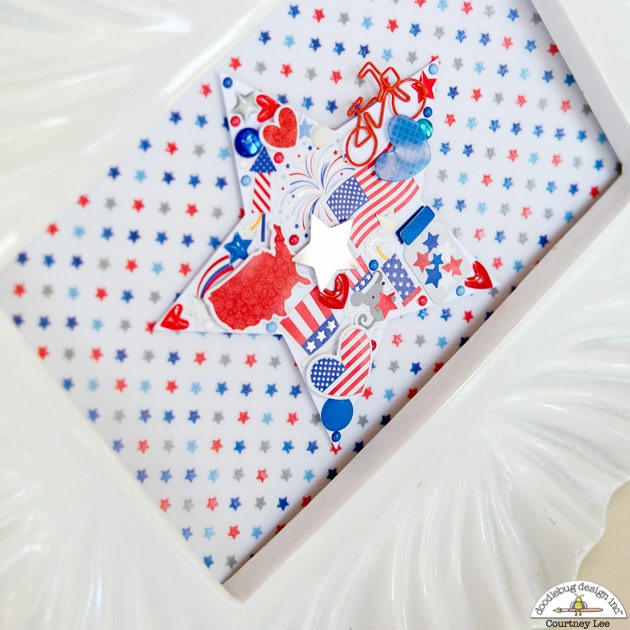 Lastly, the star vellum was just too scrumptious to pass up so I made it the background. Did you see the awesome matte sprinkles scattered about? 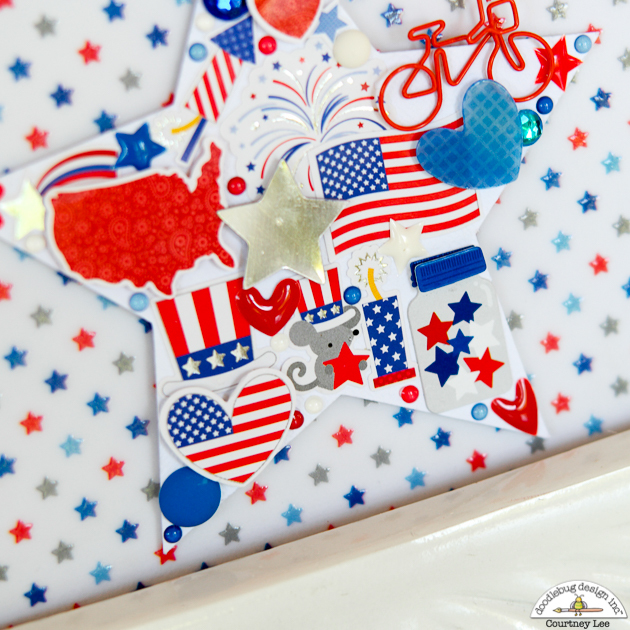 And the tiny dots are from the patriotic posies shape sprinkles. I used almost all of those little ones on this project. Here it is again! 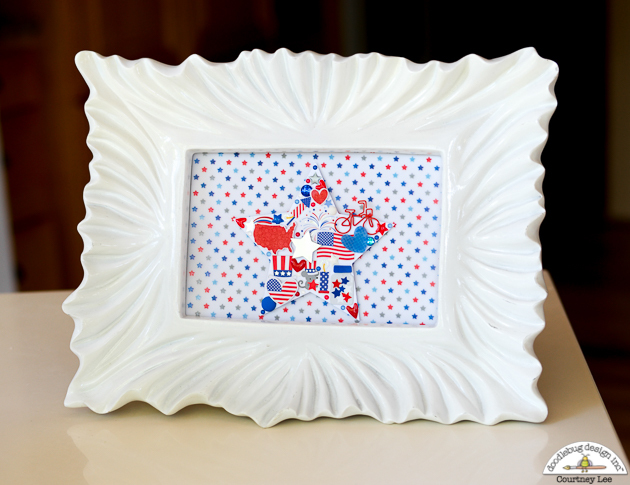 I hope you make something cute for our nation's Independence Day!!!! What an awesome idea, love how it came out!